Syrian rebels, including the al-Qaeda linked al-Nusrah Front, claim to have seized control of Idlib – capital of Syria’s northwestern province. The insurgent victory, reported by Islamist groups on social media and by the conflict monitor the Syrian Observatory for Human Rights, marks the second province to fall out of government control since the beginning of the conflict four years ago. The first province to come under rebel control was Raqqa, the centre of the Islamic State group’s operation. 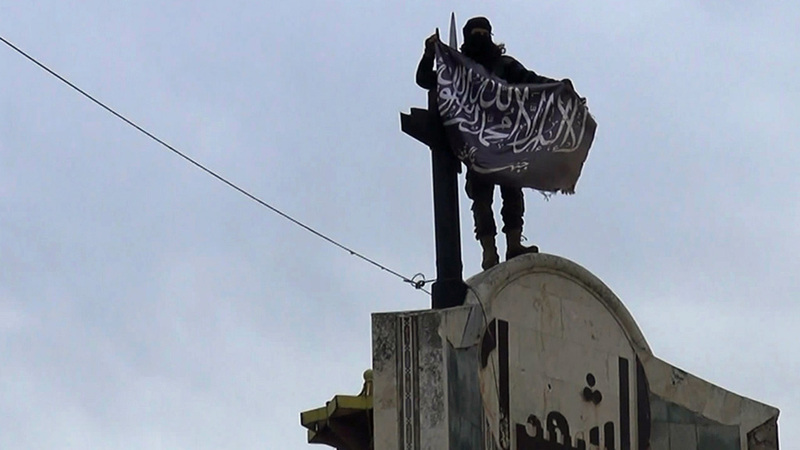 Various Islamist groups were involved in taking control of Idlib, including the al-Nusrah Front, Jund al-Aqsa – which began life as a sub-unit of al-Nusrah – and Ahrar al-Sham, a hardline jihadist group and one of the largest rebel armies in Syria. Syrian groups launched the offensive to take Idlib on Tuesday. The army of Syrian president Bashar al-Assad is reported to have responded with chlorine attacks on towns outside the city. Pictures posted on social media by al-Qaeda and other rebel groups purport to show fighters inside Idlib, the bombed out shells of regime tanks and dead government soldiers. 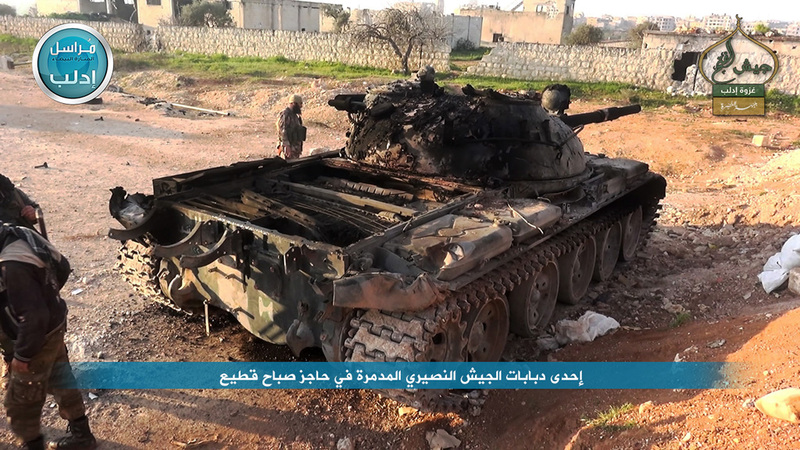 Above: Image posted by rebel groups – claimed to be a government tank in Idlib. Idlib, a city of 100,000 people, is close to the main strategic highway linking Damascus to Aleppo and is also close to the coastal province of Latakia, an Assad stronghold. On Thursday the UN under-secretary general for humanitarian affairs, Valerie Amos, raised concerns about the impact of fighting in Idlib on civilians. The UN estimates that 220,000 people have been killed in the Syrian conflict, and that nearly 12 million people have been displaced.